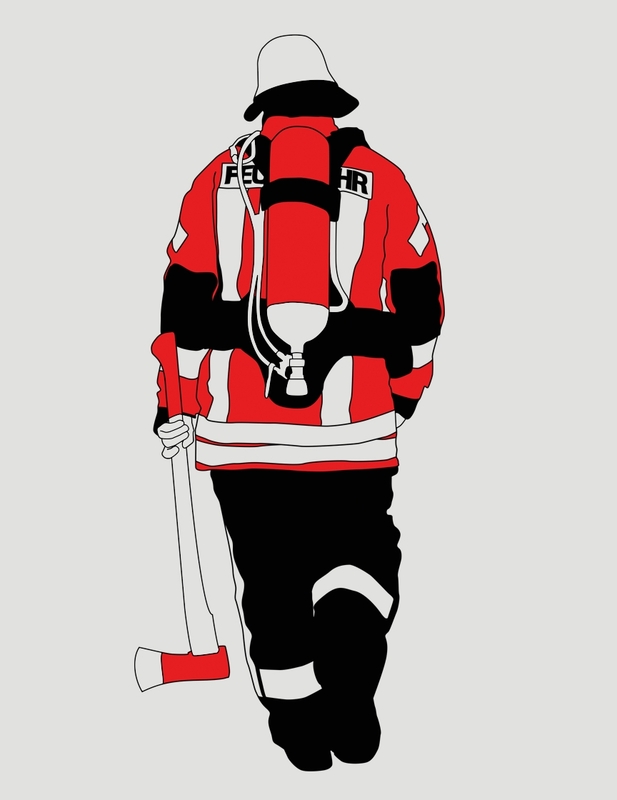 Logodesign and prints for the fire department Herxheimweyher, a voluntary fire brigade. 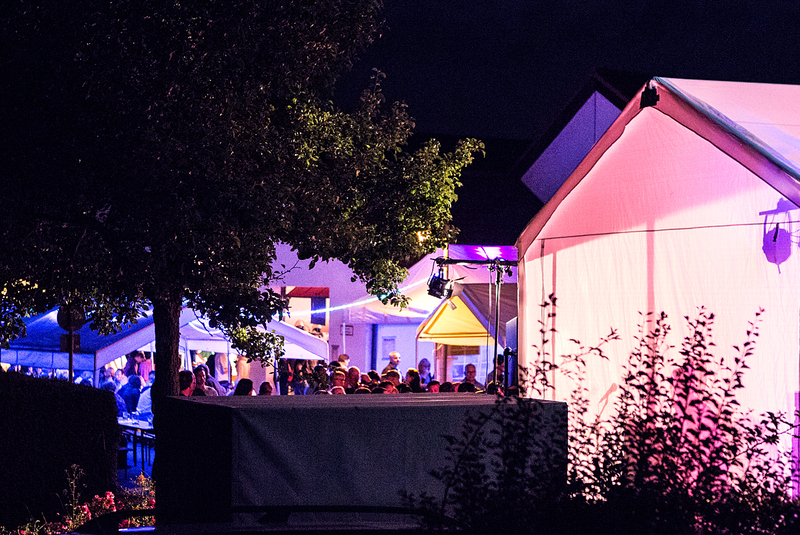 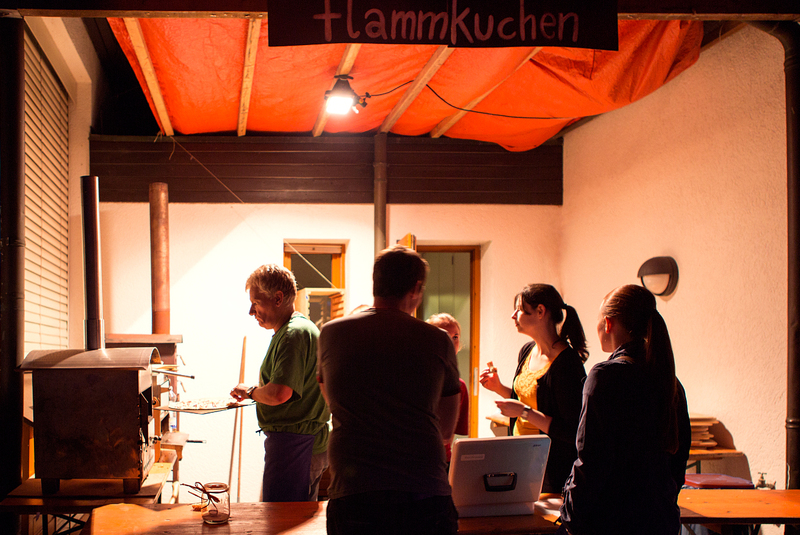 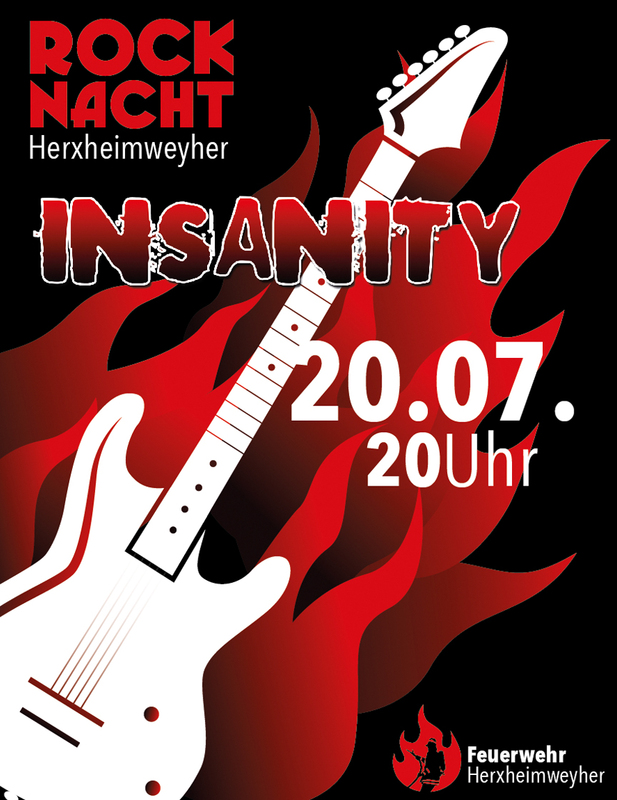 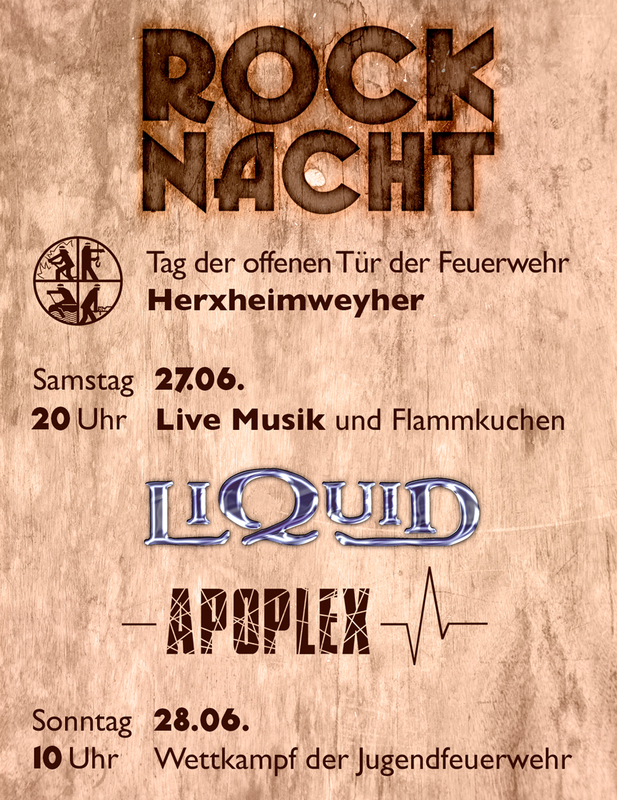 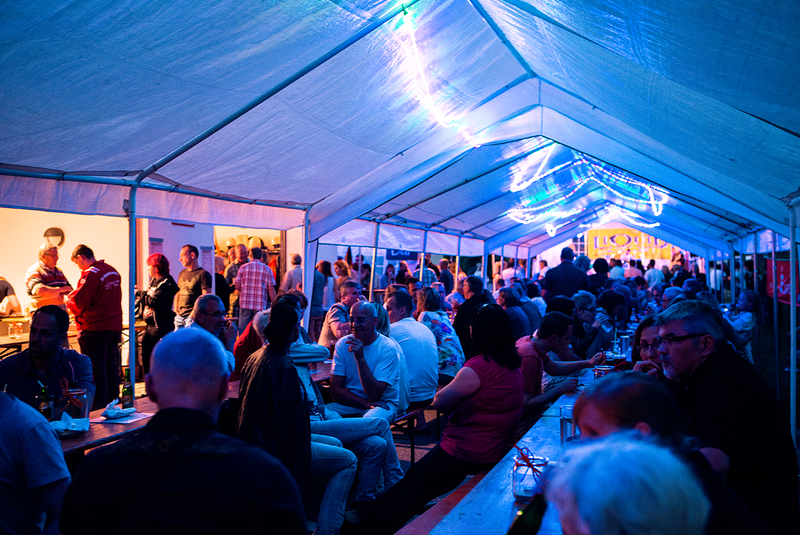 Once a year the fire department Herxheimweyer organizes a rock night, which is one of the most visited events in the area. 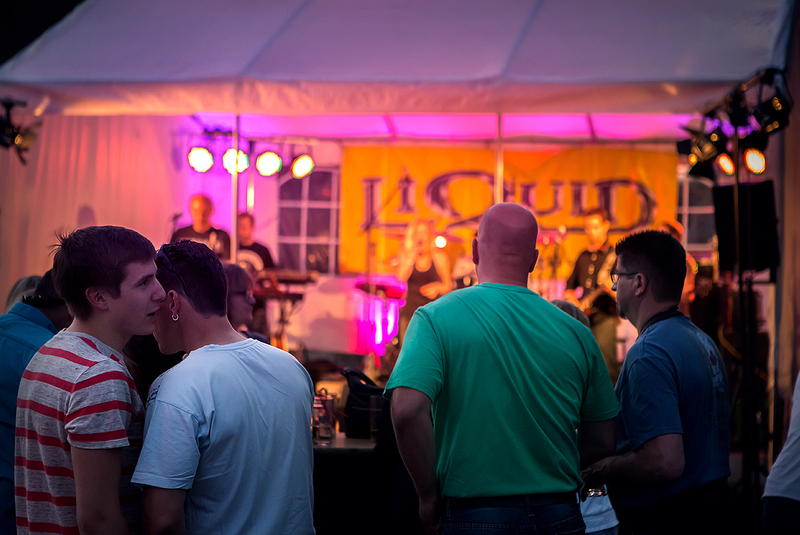 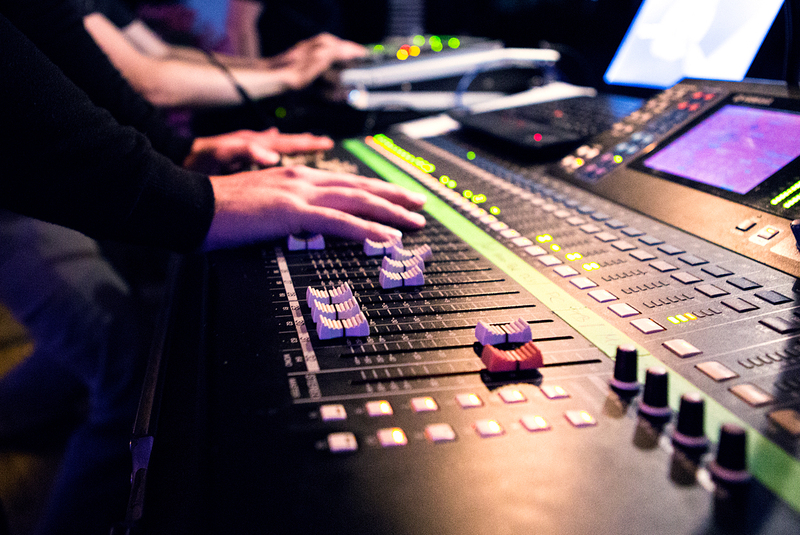 The musicians are often regionally famous, like Insanity in 2016 or Liquid 2015. 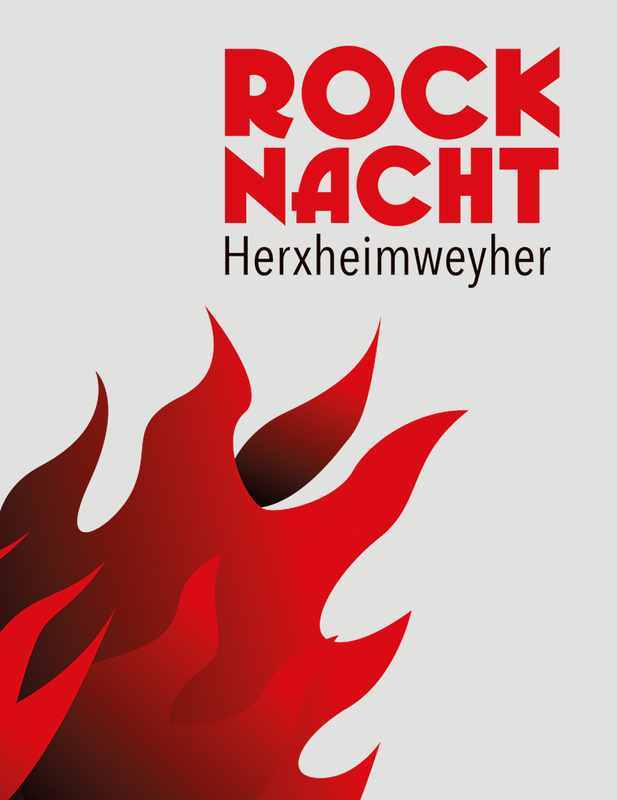 For each year a new poster is designed, tailored to the playing musicians and the atmosphere anticipated.